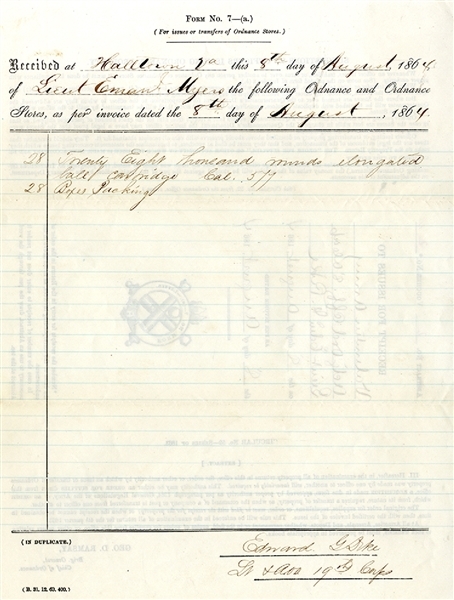 War-date Union Document Signed “Edward G. Pike” Lt. & A.O.D. 19th Corps.” 1pp. quarto, August 8, 1864, Halltown, Virginia, and reads in part: “...Received....of Lieut. Emanl Myers...Twenty eight thousand rounds elongated ball cartridge Cal. 577...” Fine condition.